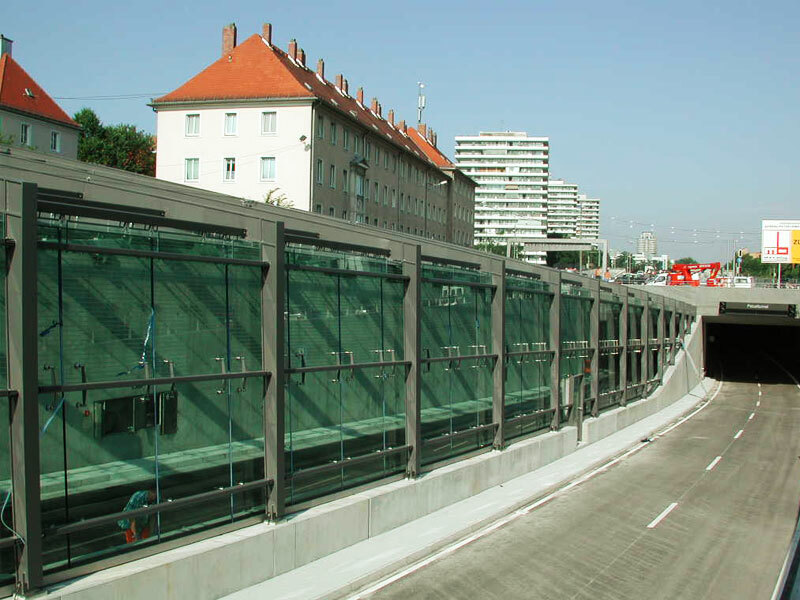 Filigree steel structure as an enclosure for the ring road (“Mittlerer Ring”) in Munich. 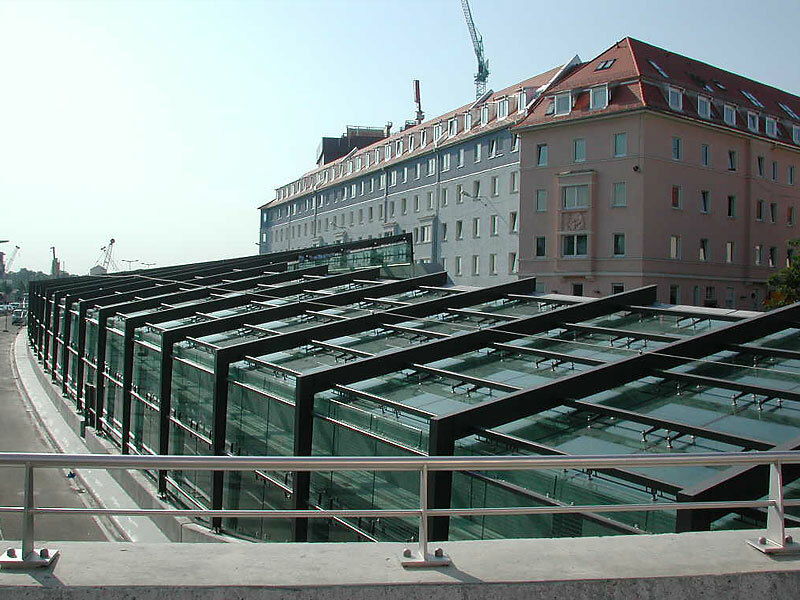 It is made of 3.800 m² overhead glazing with requirements for a residual bearing capacity, vandalism protection and fire protection. 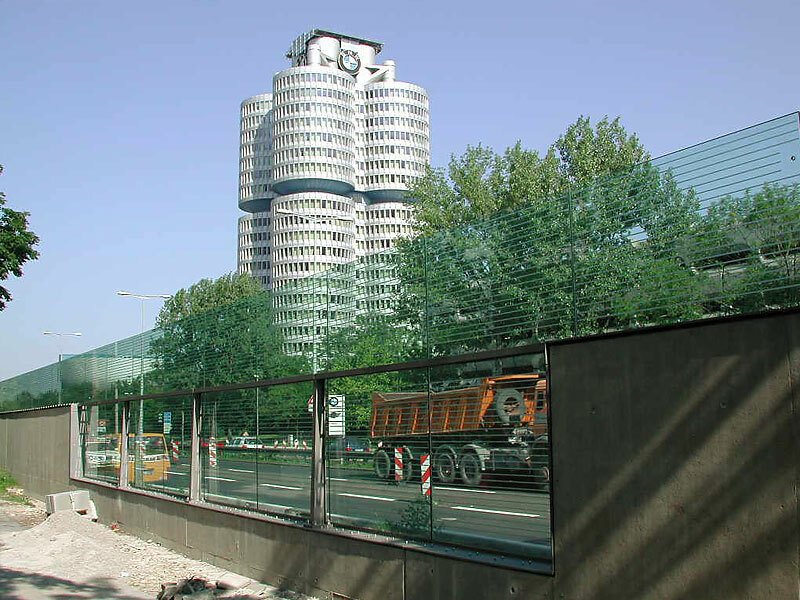 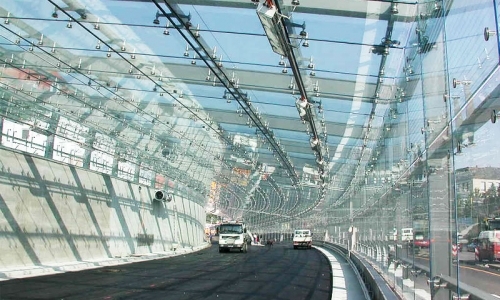 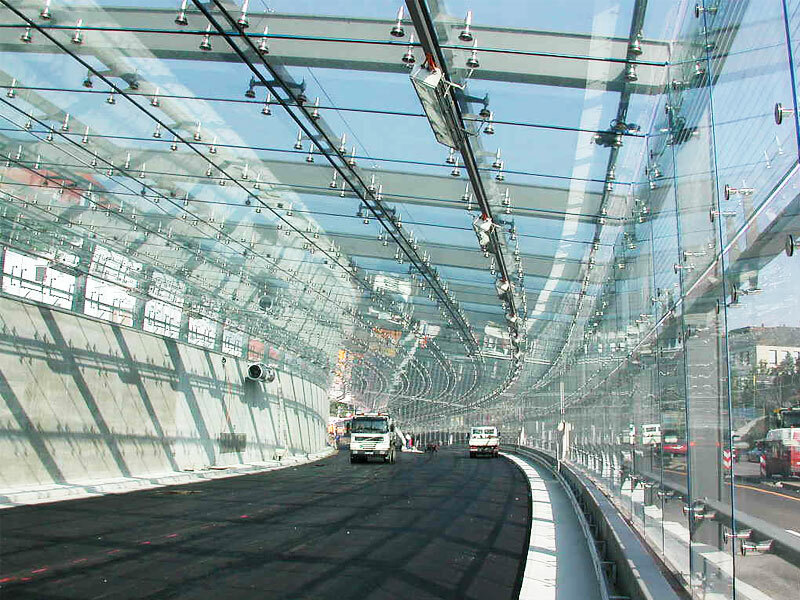 The wall glazing of the enclosure has a length of 240 m and an area of 1.500 m².